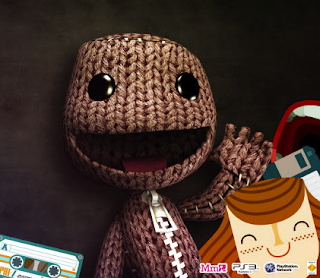 Little Big Planet PS Vita Beta Coming Soon - Register Now! The LittleBigPlanet Community is about to get a very special treat! Very soon, many of you will have the opportunity to participate in the LittleBigPlanet Beta on PS Vita, where you will get an exclusive sneak peek at Sackboy’s most thrilling adventure yet! The goal of the Beta is to get feedback on the overall experience from the folk that understand it like few others – and that means you! Fill in the details and you’re done! There will be even more information to follow. For now though, dust off your finest analytical hat, and prepare to dive in to Sackboy’s latest escapade! Let us know if you like game Beta's in the comments below!